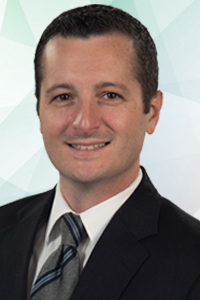 Originally from Abington, Pennsylvania, Dr. Etter is a graduate of Emory University, where in 2004 he received a Bachelor of Sciences degree in Neurosciences and Behavioral Biology. Following his undergraduate studies, Dr. Etter attended Temple University’s School of Dentistry until his commencement in 2008. After completing a General Practice Residency at Abington Hospital, he entered into Maimonides Hospital’s residency for orthodontics where he received his certificate in 2012. Since, he has returned to and involved himself in his native Philadelphia area’s orthodontic community as a private practice clinician and an attending at Einstein Hospital’s graduate orthodontic residency program. He is a member of the American Dental Association, the American Association of Orthodontists and the Mid-Atlantic Society of Orthodontists.Away from the office, Dr. Etter enjoys a number of hobbies including hiking, baking, and playing hockey. He is a long time Flyers and Phillies fan, but loves to talk about hockey in general to anyone who desires (yes, even Rangers and Devils fans)! He currently lives in Bucks County, PA with his two daughters and his wife, who he has known since 1999.